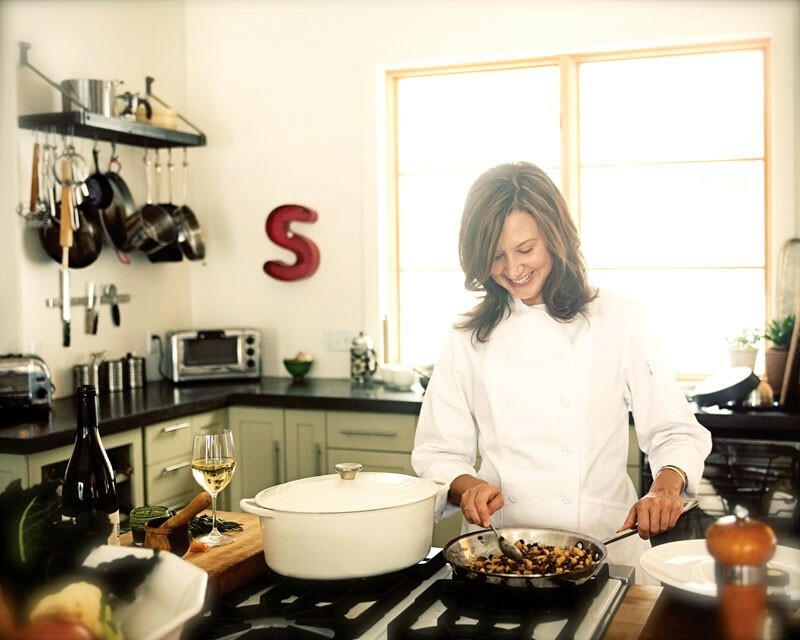 Chef Sylvia Wilson: I just try to eat as wholesomely as possible. Chef Sylvia Wilson, owner of Feast Catering, lives a life woven with rich family history and creative passion. Her parents moved to America as adults, with their cooking directly influenced by their cultures. She delighted in a year off but then started feeling antsy. “I felt like cooking. I really missed it.” She did some catering for friends and acquaintances and decided to launch Feast Catering. Now summers are booked with weddings, while business events round out the rest of the year. Wilson’s diet philosophy imbues her work at Feast Catering. “I want people to feel good and energetic, so I use lighter ingredients.” She steers clients away from produce that is not in season; in traditional recipes that call for butter, she often substitutes olive oil. Feast Catering makes everything from scratch using fresh, not canned or frozen products. This recipe is vegan. If you wanted to add a cheese, chef Sylvia Wilson would recommend crumbled, soft goat cheese or ricotta insalata. Preheat oven to 400 degrees. Add lentils to 1 1/2 cups of water, season with pinch of salt and 1 teaspoon cumin. Bring to a boil, turn heat to low and cover. Cook till al dente, approximately 40 minutes. Drain and set aside. While lentils are cooking, cut caulifl ower into 1-inch pieces, toss in bowl with 1 T olive oil, pinch salt, 1 tsp coriander and roast in 400F oven on sheet pan for 20 minutes until al dente. Whisk together to make vinaigrette. Final Fall Salad preparation: In a medium bowl, toss warm lentils, cauliflower, apple, scallions and parsley with some of the vinaigrette, reserving some for the arugula. Adjust salt/pepper to taste. In a separate bowl, lightly coat arugula with a little vinaigrette — there may be vinaigrette left over. On a plate, make a small bed of arugula and place the warm mixture on top. Sprinkle with pumpkin seeds or nuts.